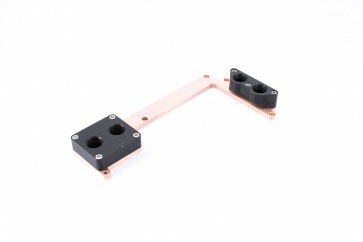 Please note: Most manufacturers do not intend their hardware for removal of the original heatsinks. Therefore a loss of warranty must be expected when exchanging coolers. We are not liable for any damages occurring or being caused before, during or after installation or any other resulting damages. Please work accordingly careful with your hardware and extensively test for correct installation and tightness of the system before booting up your PC! Check all new hardware for correct operation before mounting any waterblocks to cover possible previous damages before loosing warranty!